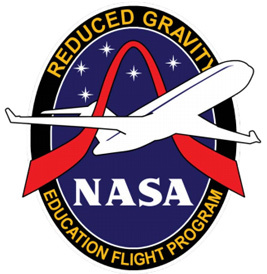 The students, along with a two-person ground crew and an alternate flyer, are part of the Northwestern University Microgravity Team (NUMT), one of 18 teams selected to be in this year’s NASA Reduced Gravity Flight Opportunities Program. More than 100 teams from schools across the nation applied for the privilege. The team’s flight aboard a NASA plane that creates a weightless experience will be the week of April 4-12, and they will use it to do biomedical research on how bones are affected in space. At the end of the week the team will have two days of flight, Kozminski said. Three students will fly on the first day and two students will fly on the second. On each day, the students will have 30 different opportunities to experience zero gravity in flight. They’ll use 25 of those to perform their experiment. The rest will be pure fun. NASA uses a modified Boeing 727-200 aircraft to fly parabolas at high altitudes that create short periods of zero gravity to simulate the weightlessness of space flight. The team has high hopes that their experiment will provide some insight into why our bones become weaker in space. “Maybe the way bone cells communicate gets messed up,” Kozminski said. The team hopes its results can be helpful not only to those hoping to travel into space, but to millions suffering from bone-related diseases as well. Funding for the group’s experiment has come from Boeing, SpaceX, the McCormick School of Engineering and Applied Science, the Weinberg College of Arts and Sciences and the Office of Northwestern University Provost Daniel Linzer.